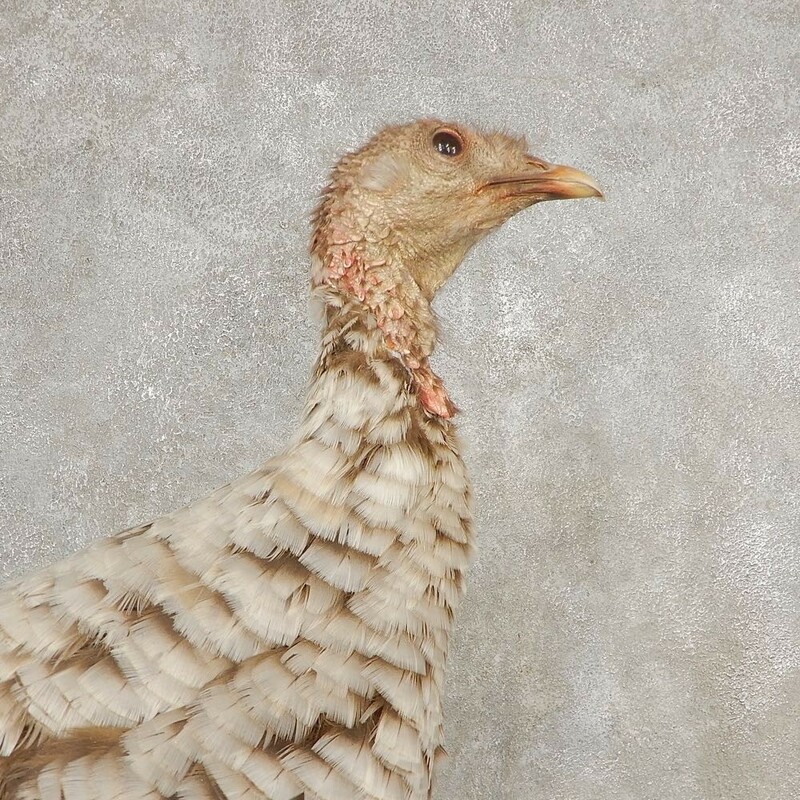 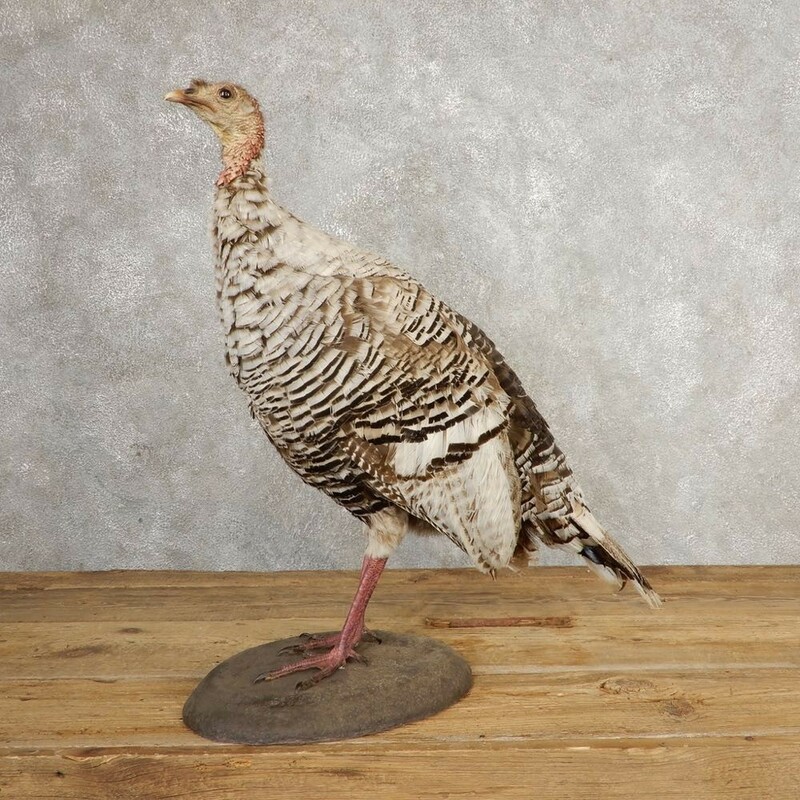 This is an outstanding Hen Turkey life-size taxidermy mount, posed standing on a dirt base. 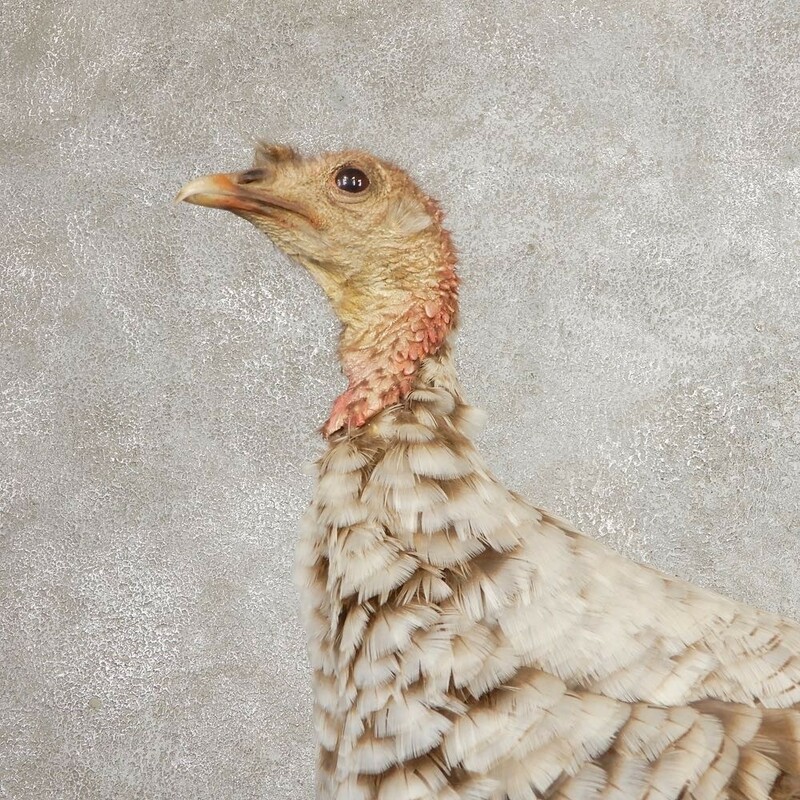 Normally turkeys are dark brown to black in color, but this turkey features a coloration that is called smokey-grey. 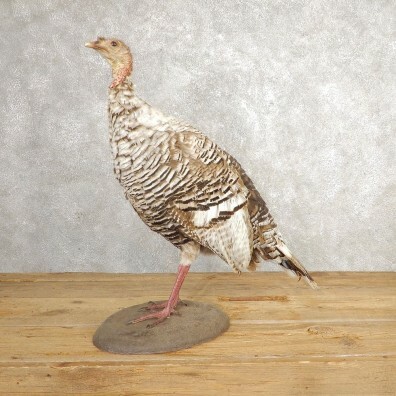 The feather quality is great along with the taxidermy work. 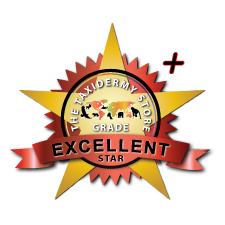 All of this combined helps this item receive our Excellent Plus Star™ overall quality rating. 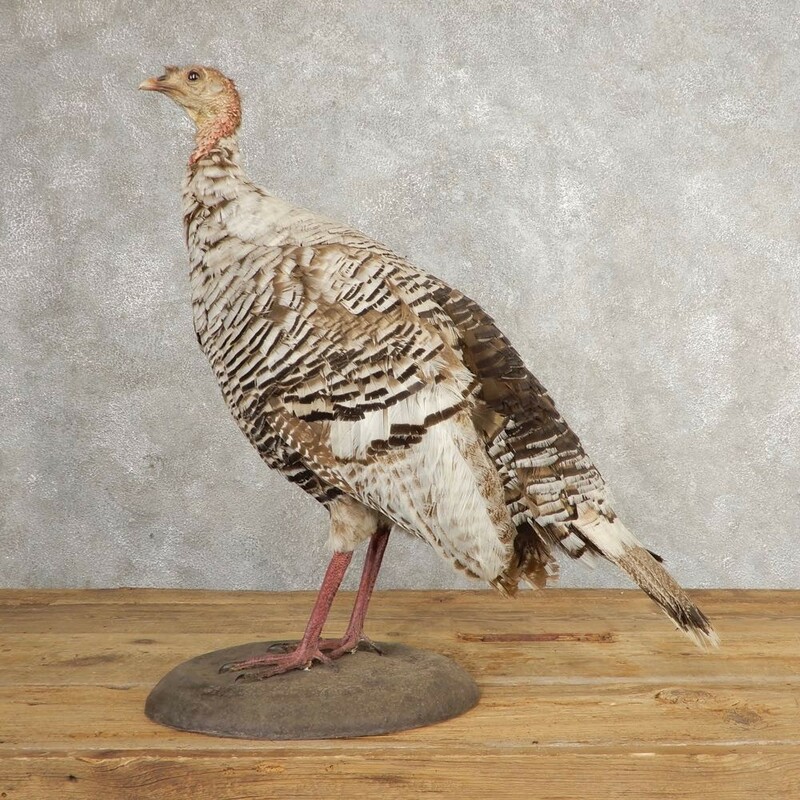 All applicable sizes and dimensions are included to make sure this item will fit within your intended space. 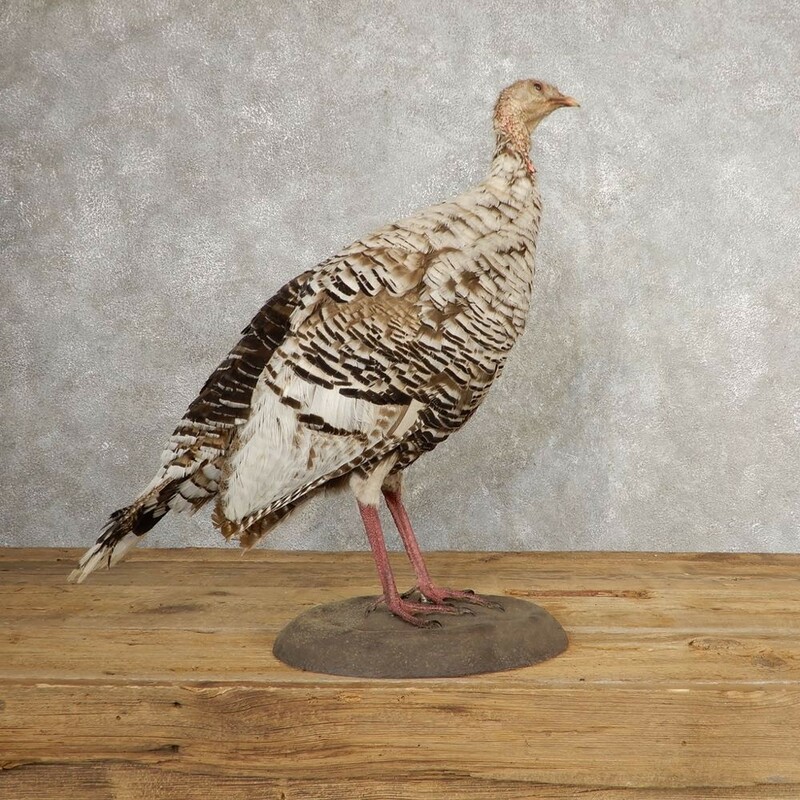 The Wild Turkey is native to a majority of the North American continent.The body feathers are generally black to dark brown in coloration with a coppery iridescence that becomes more pronounced in adult males. 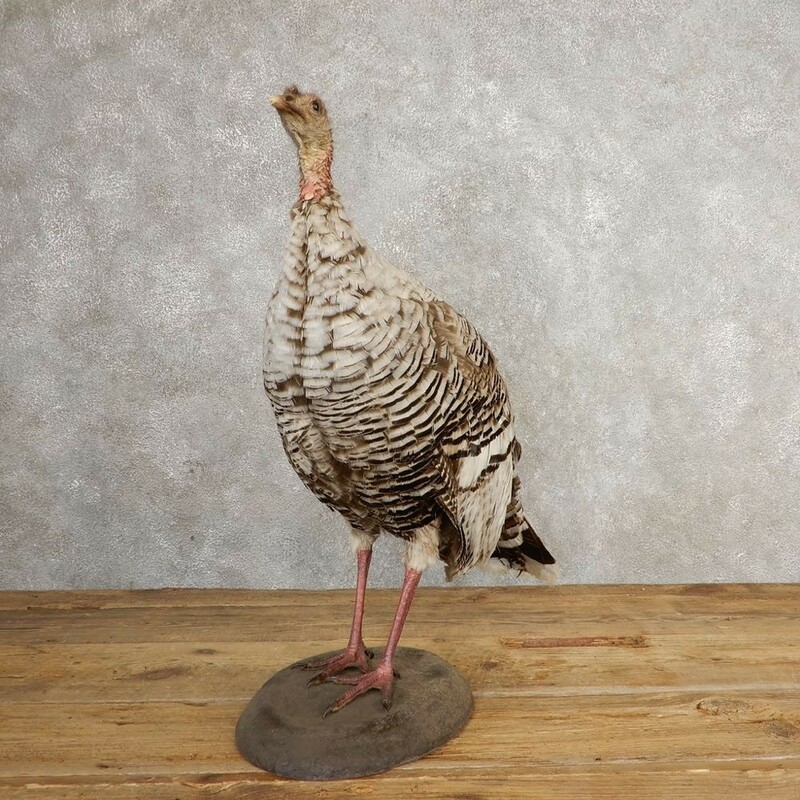 The Tom (Male) Turkey has a large, featherless red colored head, throat, and wattle. 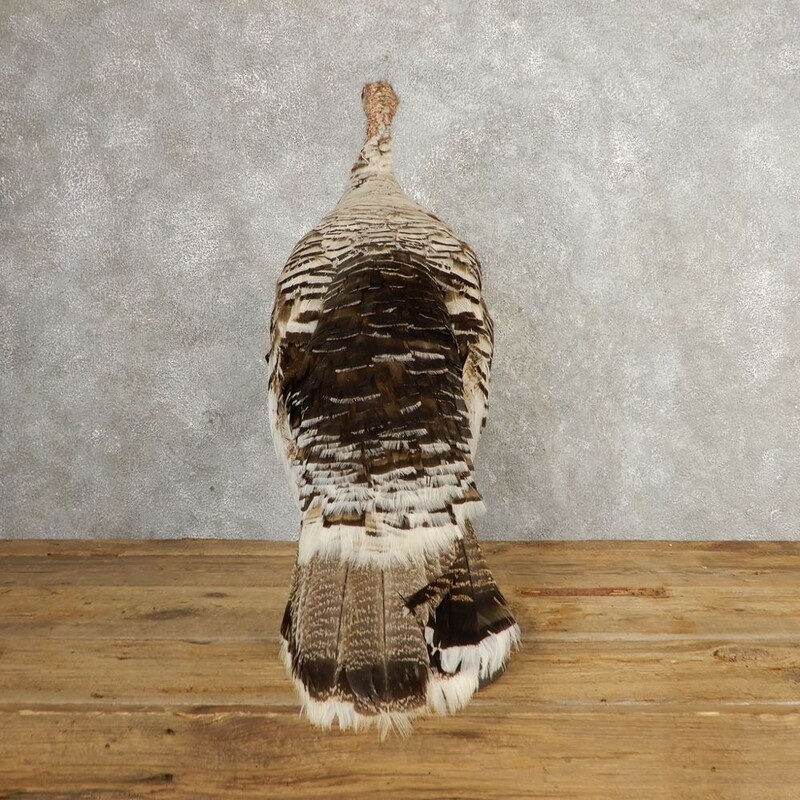 The males have set of large tail feathers that can be 'fanned' upward when strutting, as well as spurs that can reach upwards of 2". 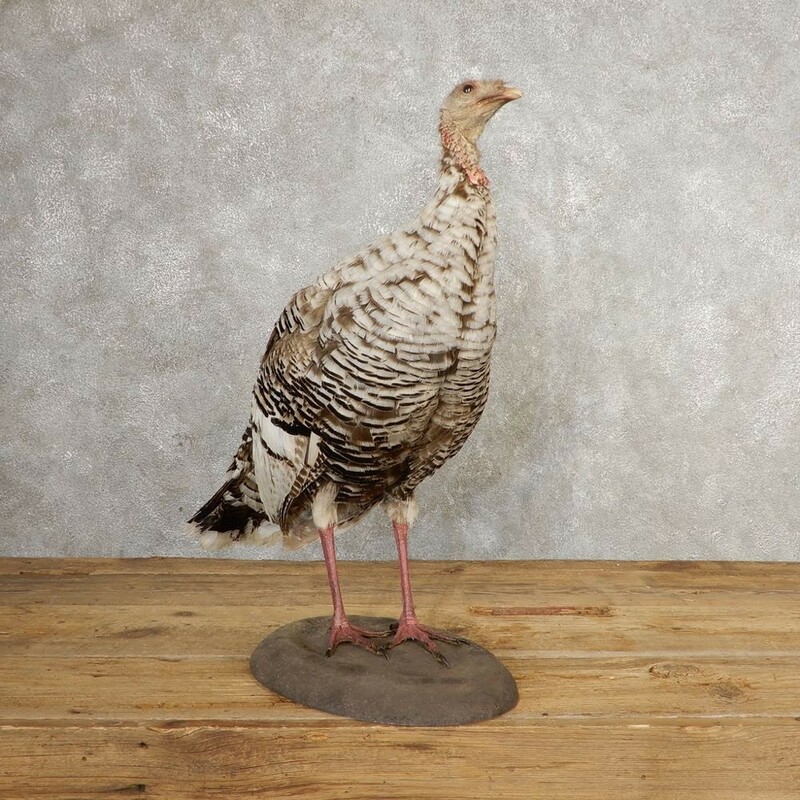 Wild Turkeys can grow up to 45 inches in length and often weigh between 10-20 lbs.